Samui Natien Resort is a member of Thai Hotels Association and is certified with a 3 star rating by Thailand Standard Hotels. The property is located on the secluded end of Chaweng beach and within an easy reach of all major shopping and nightlife activities. The resort is nestled amidst tropical gardens and lush palm trees. On the opposite of the beachfront there is Natien. Natien is a formation of coral reef populated with trees, the trees is called Tien Tree. Samui Natien Resort is an exceptionally modern low-rise resort with a combination of 15 villas and 36 guestrooms and is designed to integrate modern facilities and colorful local arts into the unspoiled natural beauty of the white sandy beach and the palm tree grove of Samui. At Samui Natien Resort we have a big selection of rooms to your needs-from the Standard hotel room up to the Beachfront Villa and even the luxurious Natien Suite. Standard rooms are located on the 1st floor (garden view) and on the 2nd floor. Superior villas are located in our garden area. The restaurant with 55 seats and the terrace, 20 outdoor seats, serve refreshment beverage, cocktails, beers, wines, Thai and Western cuisine and seafood. Dining at Natien Beach Restaurant is always an enjoyable experience with a wide variety of seafood and local market produce. Select your favorite dish from over 120 different Thai, Western and Seafood dishes, Thai curry, Tom Yum, Pad Thai, Sandwiches, Hamburgers, Pizza, Spaghetti, Sea Bass, Barracuda, Red Snapper, Beef Steaks, Grills and BBQ, Natien Beach Restaurant has a dish to suit your palette. Samui Natien offers hotel guest with High - security Wireless Internet access. Natien Hotspot available for laptop/ Palm / Mobile users. You can enjoy high-speed wireless internet anywhere in our resort. Samui Natien has a freeform freshwater swimming pool and a round-shaped Jacuzzi right near the beach. Samui Natien has a fitness room equipped with Tunturi fitness equipments that includes a 3 station multi gym (200lb), treadmill and ergo meter cycle. For a completely relaxing experience try our Tylo Nordic spruce sauna, sip a cold drink and enjoy that magnificent, all-pervading sense of well being. Samui Natien offers a 96 Square meter Conference & function venue, capable to accommodate up to 90 persons. Koh Samui is a true tropical island paradise. White beaches, warm blue seas, tropical palms, marvelous food and enchanting nights. 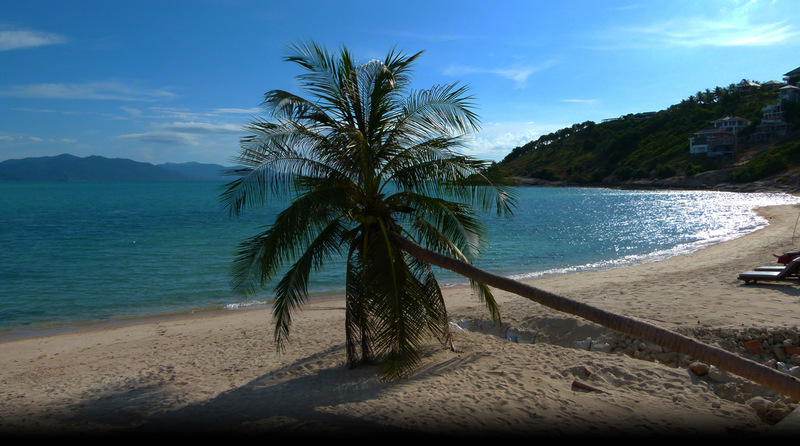 Koh Samui can easily be reached by ferry or speedboat from the mainland and other surrounding islands. Whether you are looking for a divine Spa treatment, remote beaches, a round of golf, great shopping, delicious dining or an exciting nightlife, you will find it on Koh Samui!